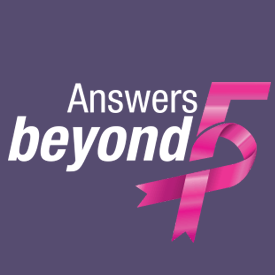 What Is the Breast Cancer Index (BCI) Test? When I was first diagnosed with breast cancer and discussing chemotherapy with my first oncologist (yeah, I’ve had five, but who’s counting? ), we talked about the Oncotype DX® Test. This test helps determine risk for distant recurrence in some early-stage, estrogen-positive breast cancers. It is used to help decide if a patient will benefit from chemotherapy or if hormone therapy will likely be enough. I wanted this test. However, my oncologist didn’t order it because it’s more commonly used for node negative cancers. I was not node negative. He said no matter what my number would be, he’d still be recommending chemo due to my unclear lymph nodes. Still, I wanted to know my number. I was curious. In my mind, knowing my score would solidify my decision to go ahead with chemotherapy. Somehow if I knew my score was high, chemo would sound more doable, if that makes sense. But of course, this wasn’t/isn’t how things work. The test was expensive and I didn’t push. (I probably would now). I still wish I knew my score. But… I do not. As I mentioned in a previous post, I have completed five years on my “chosen” AI. Recently, I had to make a decision about continuing or not. And there was another test I wanted, the Breast Cancer Index Test (BCI). At my last oncology appointment a few months ago, I brought this test up with my oncologist. He didn’t know about it, but said he would research it for me and get back to me. I said I’d do the same. This test is intended to help guide early stage, ER+ breast cancer patients in making the decision to continue or not with anti-hormonal therapy. Just like with the Oncotype DX test, your tumor is analyzed resulting in a score that helps determine if you are likely to benefit from five additional years of anti-hormonal therapy or not. Of course, there are no guarantees. This is just one more piece to the puzzle. And it’s an important piece because while estrogen-positive breast cancers are not as likely to recur during the first five years as some more-aggressive-at-diagnosis cancers are, statistically, recurrence rates for ER+ cancers “catch up” with other types of cancers. In other words, the risk doesn’t disappear, not even many years down the road. Of course, most of us know this, but having another tool that helps ascertain an individual’s risk based on her tumor’s biology, can help a patient decide what to do going forward after completing that first five years of anti-estrogen therapy. My oncologist said yes, he would happily order this test for me. But surprise, surprise, this test is costly too. And only one company runs it, BioTheranostics, located in San Diego, CA. This, of course, was considered out of network by my insurance provider – way out. After a lengthy phone consult with a rep from BioTheranostics who informed me of the cost ($5,400) and a rep from my insurance company, it was determined it could possibly be given in-network status if I was willing to jump through some hoops. And if my oncologist ordered it, of course. I was willing. But due to timing issues and deductible issues, the cost was still too high. And yes, there are payment plans as explained to me by that rep, but payment plans don’t make the cost any less. (Let’s just say when I got off the phone that day, I wasn’t happy and did a fair amount of cussing and crying). To make a long story short, or at least shorter, I plan to revisit this at my next oncology appointment and get the ball rolling. Dear hubby and I are shuffling and planning and saving as we try to get this figured out before year’s end this time. Regardless, my oncologist is recommending I continue on an AI. But just like that other time, knowing my score would solidify my decision to continue if it turned out to be high. If my score would turn out to be low, I wouldn’t necessarily stop taking an AI, but I might consider stopping before another five years go by depending on how my side effects are impacting my quality of life. It’s that whole knowledge is power concept again. I hate it when things get complicated, not to mention expensive. But such is the world of cancer. Such is the world of healthcare. I will let you know if I do indeed end up getting this test. As is so often the case, time will tell if I do or not. And as always, I am sharing about the BCI test because I want others to know about this option too. Important Note: As I finished up this post, I did some re-checking and it looks like this test is recommended for stage I and stage IIa invasive, ER+ breast cancers. I was IIb, so it’s likely I don’t qualify after all. How did I miss that? Sigh… Oh well, maybe this information will help some of you make your decisions. Update to the above update: (May 2017) It appears I would qualify, after all. I’m not sure if guidelines have been changed or if I misread before. Looks like stage llb would qualify if 1-3 nodes are impacted. If you’re interested in this test and aren’t sure, give them a call. Have you heard of the Breast Cancer Index Test? If applicable, have you had this test, or do you plan to? If applicable, did you have the Oncotype DX test? Sign up for emails/newsletters from Nancy’s Point. Thank you. Good info, I’m going to take it to my support group. Mary, Sounds like a plan. I should do the same since a nurse runs my support group and it’d be interesting to see if she’s heard about it and if so, what she thinks of it. Thanks for reading and sharing. Yes, I’ve heard of it, and since I was lla idc, i guess i qualify. Not sure why there is an a/b distinction. I want to understand the research behind it. They say that only a small percentage of women benefit from taking the AI’s longer – if I read their marketing blurb correctly. I had a hard time understanding the basis of their statistics. What bothers me is that this is another proprietary tool, just one provider and lots of fuzziness. If we’re moving into the realm of personalized medicine, it needs to be transparent, understandable and affordable. Not taking away the need to make money to survive, but $5400? As if. I don’t know if the test is available in Switzerland. I know my oncologist is going to asco in June and I’ll ask him after that. I’ve also lucked out on the AI. My side effects are minimal and I’m just going to take arimidex for 10 years, or when better info appears. Elaine, Your points are all excellent. Thank you for making them. I’ll be interested to know what your oncologist says. I’m glad you’ve “lucked out” on the side effects. Hope that continues. Thank you for sharing. I should also mention that i was waffleing about the genetic test, decided I wasn’t going to do anything differently and since I haven’t any kids, decided against it at this time. Never say never though. Because I am half Ashkenazi Jew, my insurance in Switzerland covers it. If it would help someone’s research, I’d do it. Never had the oncotype – grade 3 tumor, they recommended chemo, and I agreed. Elaine, The decision to do the genetic test is a very personal one. Do you have siblings? I agreed about the chemo in my case, too, but I still wanted to know my number. Oh well, guess I never will. Thank you for sharing. This is a really interesting post though I can feel the frustration with getting the test and the whole ‘not knowing’ situation. I was diagnosed with HER2+ cancer so neither test would’ve applied for me – just as well because neither were available in the UK in 2012. My son works as a histopathologist and his lab are only just beginning to process Oncotype DX. They despair at the inability to put these things in place as much as we do – as always it comes down to cost. I spent 4 years and countless hours researching as much as I could about the kind of cancer I had, and what that’s likely to mean for me and for my family. Most things I established have been extremely useful but some have been very challenging. As I can’t change them it might have been better not to know but as a knowledge/information junkie that’s very hard to admit! I’m now more at one with the whole thing and can accept whatever the numbers say, there are always outliers. Cancer is one of a myriad of things that might take me in the end – I hope it doesn’t and whatever the numbers might have said, I very much hope the same for you too. Tracy, You’re right, neither test would apply to you. I hate it, too, when testing or not comes down to cost (and having my insurance company dictate) and like you, I have become an information junkie of sorts. I was really upset when I couldn’t ascertain either of these numbers (due to cost) and it was hard to explain to my oncologist why it mattered to me to know them. I will likely stay the course on my AI regardless because I have done everything I can so far and I’m doing okay so far. Not great, but okay. Sometimes that’s good enough. Thank you for sharing. Nancy, thank you for writing about this! I knew about the oncotype test, which my Onco refused to do, but not about the BCI test. I was node negative. I had asked about the oncotype and my Onco said that she would have treated me with chemo regardless because my cell was grade 3 and I also had lymphvascular invasion (my cancer did not need my nodes to travel. It created its own path. How is that for skills, huh?). I can’t deny I was annoyed with that decision. I donated my tissue. Wondering if they can still examine the sucker. I doubt my Onco is going to want to do the BCI test. She has made the decision I should be on Tamox for 10 years (with a break, if I wish). Honestly, I don’t like not to be part of the decision-making. I like to know everything so I feel more comfortable (and at peace with the situation). I am going to ask about this test. Thank you for letting us know. Rebecca, I understand why oncologists don’t order these tests, but… doesn’t that stop me from wanting to know the numbers. Yeah, that’s interesting about your cancer creating its own path. Since you are so young, there’s no doubt you will be advised to stay the course on tamoxifen based on everything I’ve been reading anyway. I wouldn’t be surprised if it’s extended even beyond that for you. I hope you get to take that family time break if you decide you want to do that. So many big decisions and the younger you are at diagnosis, the more of them you have to make. I’m sorry you’re dealing with all this crap at such a young age. Not that any age is good, but… Thank you for sharing. Funny that this should come up. I had also heard of it but my doc had not. I asked at my last appointment a few weeks back and had the info with with me. My doc said he’d research it and get back to me. I haven’t heard anything as yet. I am on my 6th year of an AI. I also have asked myself if I really want to pursue this; not sure. Teresa, I’ll be interested in what your onc says. Something else for you to think about I guess. Let us know what you end up doing. 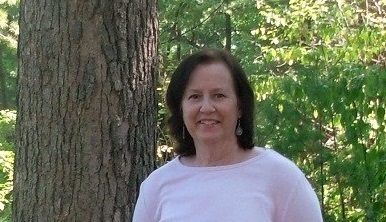 Hello- I’m a “newbie” when it comes to breast cancer- it’s only been two months since my diagnosis. I had the Oncotype DX, and because nothing is every simple/clear-cut, I scored a 19, one over from low to intermediate. I will see the oncologist on Tuesday to discuss what this means for me. I hadn’t heard of the BCI, but will definitely look into. The more information the better. Thanks for sharing. Katie, First of all, I’m sorry to hear about your diagnosis and you’re right, nothing is ever simple. I’m glad you were able to get the OncotypeDX test and now know your score. Good luck at your appointment and with everything, of course. And you probably don’t need to worry about the BCI quiet yet and, of course, it depends on your type of cancer too. Good luck with everything and thank you for sharing. For my first DCIS diagnosed almost 7 years ago I chose to do surgery, radiation (multicatheter brachytherapy), and as much Tamoxifen as I could stand. I asked for the Oncotype DX and was told it wasn’t done on DCIS. Spring 2015 I was again diagnosed with DCIS. This time, the research had been done on DCIS patients and it showed I WASNT GOING TO BENEFIT FROM RADIATION!! So I was spared that this time!!! I haven’t heard of BCI and it won’t apply to me this time, but so glad you brought it to our attention! Connie, Thank you for sharing about your experience. Are you still taking tamoxifen? This post made me think of my visit with my oncologist just before starting chemo. I was given the same info, that testing wasn’t necessary since I had node involvement and chemo wasn’t even a question. Like you, I always wondered. Eileen, I still wish I knew my number. Thanks for reading and sharing. in breastcancer.org. Like you, I am II-b and none of these tests apply to me. My understanding in that my tumor is in the registry in my state and pathology has my slides. I am finding out what this means! Thank you. Linda, Thank you for sharing the links. Good info. I hadn’t heard of this test before reading this post. Holy cow is it ever expensive! Can your oncologist write a note saying it’s medically necessary so your insurance will cover it? Thank you for enlightening us about the test. And I hope that somehow you are able to get it without paying a lot of money. Beth, My oncologist was willing to order this test for me, but it turns out I don’t qualify anyway. Thank you for reading and commenting. I didn’t qualify for it and my oncologist told me I would have gotten chemo no matter what. I completely understanding wanting this information when making a decision on something that has such an impact on your quality of life – but the alternative is your life. I hope somehow you can get this test without breaking the bank! Mandi, It turns out I don’t qualify after all. But thank you. Using this calculator my score was 17 and I did have the actual Oncotyoe Dx test and my official score was 16, so from my limited experience, it seems to be pretty valid. Hope this helps! Laurie, Thank you for sharing the link. I checked it out, but unfortunately, I don’t have all the pieces of info needed. You might want to check with your oncologist if you haven’t already. I found my KI-67% , ER, PR and Her2 scores on my initial core biopsy pathology report, and the tumor size & Nottingham score (grade) on my final pathology report following my BMx. It’s possible your facility uses a different scoring system than Nottingham to determine grade, however, but they may be able to tell you how their score correlates to Nottingham. Best of luck! Laurie, What is the KI-67% score? I couldn’t find anything about that one. Nor could I find ER, PR Her2 scores per se. I was looking on my surgery path report, though, not the original biopsy report. I will have to look for that one. Thanks again for the info. • Ki-67. Ki-67 is a protein in cells that increases as they prepare to divide into new cells. A staining process can measure the percentage of tumor cells that are positive for Ki-67. The more positive cells there are, the more quickly they are dividing and forming new cells. In breast cancer, a result of less than 10% is considered low, 10-20% is intermediate/borderline, and more than 20% is considered high. Laurie, Thank you! I will do some more digging. Laurie, I scoured through all my reports. Nothing in them about the Ki-67%. There was mention of staining, but no Ki-67% given to plug into the tool you shared. Also, the Nottingham score begins at 3 and that didn’t jive with my reports either, as I was grade 1 based on Nottingham. So not enough info still. Bummer. But thank you. I have been putting up with the SE’s knowing that after 5 years I would “get my life back” and be able to proceed with my plan to continue working to help insure financial security in retirement (I’m already retirement age). This is important to me, since I’ve always supported myself, never married and had no family money, coming from a lower income demographic. Since I have no kids or spouse, I’m concerned about being able to support my self in old age and want to continue working as long as I’m able . If I were to continue AI’s I know I would not be able to do that. As it is, I struggle with work days when I’ve had a few hours sleep due to chronic insomnia; this has gone on for 5 years. I hate that there is a Hobson’s choice with continuing taking this drug; maybe it would give me 5 more years, but maybe it wouldn’t and I would sacrifice 5 more years in the bargain. Kathy, My insurance didn’t want to cover this test. I had to “fight” about it over the phone, but then I changed my mind anyway due to other reasons. One test I would’ve liked to have had is the OncoDX. Again, my insurance wouldn’t cover since I had node involvement. Even now, nearly seven years out, I am curious about my score and wish I had it. I am still on an AI, but not sure if I’ll keep with it for the full ten as my oncologist has recommended. Big decisions we all make, that’s for sure. Thank you for sharing about your situation. Wishing you all the best. Reading your story made me feel better about not getting the Oncotype-and my unstop feelings about it. I had one positive node and my breast surgeon and oncologist at the time said it wasn’t done on node positive and I needed chemo. (This was in 2014) But of course I found out this was not necessarily true. I regret not pushing because sometimes I think maybe I didn’t need chemo and it has left me with so many side effects. I have taken Tamoxifen for 2 1/2 years and have now been on Arimidex for 2 months. I have talked to my current oncologist about BCI and of course she doesn’t believe in it and thinks I need to take the meds for total 10 years. I am not prepared to do that unless absolutely neccessary. I will find a way to do the BCI which will be difficult because I have no out of network benefits. I have just found your blog-thank you very much! Elizabeth, Sounds like we have some things in common. I really wish I had had the OncotypeDX test done, but I didn’t push for it back then. And now the BCI test is available, but it’s very expensive and my oncologist doesn’t put much faith in its worth. I have mixed feelings on it. I am planning to stick it out on an AI for ten years (I am today anyway! ), so there’s probably no point, but still, I’d like to know my score. Thank you for sharing and welcome to the blog! Nancy, do you or any of your readers know of a way to assess risk after chemo? This is something I haven’t been able to determine and to me that seems to be a part of the picture in deciding whether to continue on AI’s. The Oncotype test, which I had, calculates risk of distant recurrence and my understanding is that it is based on women who’d had early stage, node negative cancers and had been on Tamoxifen for 5 years. I emailed my previous MO since my current HMO doctor is unresponsive or ill informed, and he said that for node negative early stage there is an undetermined reduction of risk from chemo, but no specific %. When I’ve read comments in the community section of BreastCancer.org, it seems most people think the BCI test is an indicator of current risk, but it also tests the tumor, it’s not a reflector of the current state of your body, post chemo/AI’s. What I’d like to see, and of course it doesn’t exist, is a scan or genomic test which can give a current state status. BCI doesn’t seem to be much more than an updated Oncotype. I’m also digesting several online articles from Karuna Jagger & ASCO regarding the efficacy of 10 years. There is certainly not a consensus in the BC clinical world about this, and it appears most clinicians are lukewarm about the extension, given the lack of survival benefit. This does not make it any easier to decide. Kathy, The only thing I know about is the BCI test. My oncologist hasn’t been enthused about doing it and I decided against it for various reasons, as of now anyway. He has agreed to order it for me if I change my mind. I am trying to stay the course on an AI, as this is what my oncologist and I have decided on. I’m doing okay on Exemestane (Aromasin). Not great, but okay. We discuss this at every appointment. I wish there were better, more clear answers to help guide us too. Tough decisions for sure. Great to find your blog Nancy. I was so excited to reach my 5-year mark on Arimidex and be done with AI’s. At my oncologist appointment a few weeks ago he stated studies show a slight benefit (average of 3%) of continuing to take a different AI for another five years (which for me would be Tamoxifen). 3% didn’t seem worth the side effects so I told him I didn’t think I wanted to continue. After reviewing my chart he said that based on my very aggressive cancer he would really like me to do the BCI test…..which I decided to do. Just got the results back today and the report stated I have a very high chance of recurrence (8.5 on a scale of 1 to 10…..anything above a 5 is considered high) and that staying on AIs for another 5 years would decrease my risk of recurrent by 16%. So, 5 more years on Tamoxifen. I can do hard things, right!? Becky, It’s “nice” your oncologist wanted you to have the BCI test. Mine doesn’t recommend it, but has agreed to order it for me if I want it. I’ve pretty much decided I am staying on my AI for the long haul, but time will tell…Thank you for sharing and good luck! I was diagnosed 18 months ago with a 20mm, stage 2, grade 3 IDC with DCIS tumor, node negative, followed by lumpectomy with a .5mm negative margin. I did have the oncotype dx test, my result was 29. But I still declined chemo because the risk reduction was only 3% . At my age (69 at the time) I just didn’t feel it was worth it. I’ve had a pretty rough time on AIs, and have seriously considered stopping them. My oncologist talked me into trying Tamoxifen, despite my age of 71 now. So far it’s a little bit better, time will tell more. I’m certainly interested in the BCI test, because if something can tell if these meds are working or not, I’d be interested. I can’t find out if Medicare covers it. I did read that it was approved in 2014. Can’t find anything more current, and I know many things are not covered now that used to be. Joyce, I am sorry you are struggling with side effects. I believe Medicare does cover the BCI test. You can contact the BCI via their contact link. I did and connected with a patient advocate person who was quite helpful. Good luck.